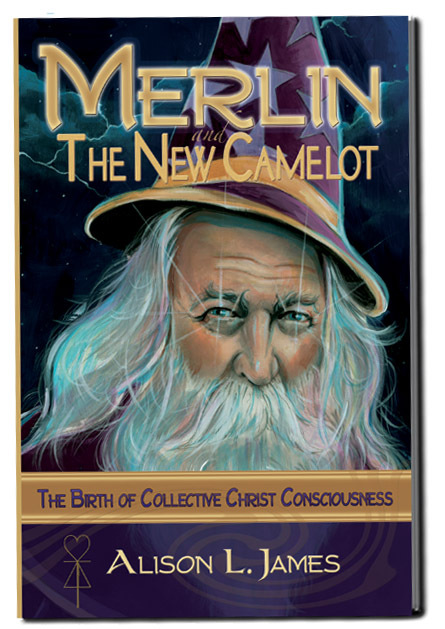 This unique and fascinating book represents an opportunity for you to learn about Ascended Master Merlin and the truth of his existence and ‘myth’. It also provides a smorgasbord of teachings and energetic symbols that can assist you on your path to Ascension. Seen through the spiritual lens of author Alison L. James, Merlin’s earthly counterpart, you may enter the world of spirituality as experienced by Alison and as led by Spirit during a life-changing transition in her life and for the Ascension of the planet. Whether you are a novice or deeply entrenched on your spiritual path, you can benefit from the wisdom of Camelot of old as well as the consciousness of The New Camelot as you become aware of the part you play in the coming to fruition of The New Camelot. If you have been wondering what the New Golden Age is about, here it is explained and presented within a timeless perspective. A separate collection of original music by Gustavo Schmidt, a narrated introduction by the author, a guided meditation, as well as music to accompany written meditations presented in the book, are also available for downloading. Available at amazon.com in multiple formats.